The common perception of wetting the bed is that it’s something which only happens to small children, and that everyone grows out of it eventually. However, this is not always the case. As a teenager or even an adult who hasn’t wet the bed in years, you might find yourself first dreaming of urinating and then bedwetting, waking up to find that it was more than just a dream. 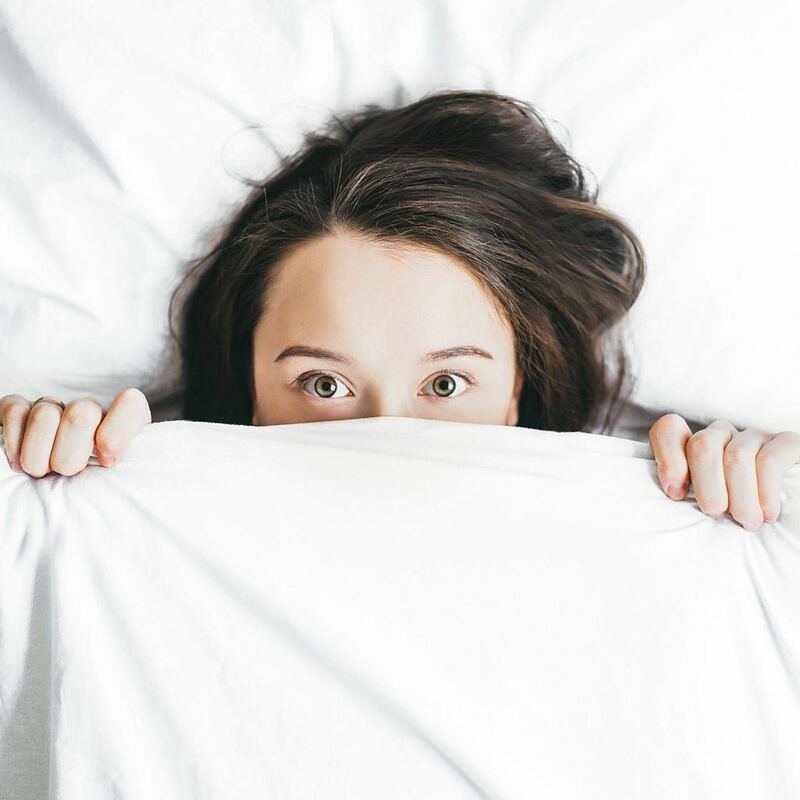 Bedwetting in adults while dreaming is more common than you might think, because of the social taboos against discussing this issue. The first important thing is to try not to be ashamed of it. Peeing while sleeping is a completely involuntary act; it is not your fault and can be managed. Here are some things to consider, which can help alleviate bedwetting in adults. 1 What Causes Bedwetting in Adults While Dreaming? 1.1 What Else Might Cause Peeing While Sleeping? What Causes Bedwetting in Adults While Dreaming? It can be helpful to refresh your knowledge of the urinary system to understand why your body might urinate when you don’t want to. The bladder is simply a muscular storage sack, which holds urine until it is ready to be released into the urethra – which is a tube connecting the bladder to the outside of the body. As the bladder contracts to release the urine, the urinary sphincter relaxes, allowing the urine to exit the body. This is not a process you have to command your body to do; the muscular movements flow together naturally. Unfortunately, this also means that physical or neurological factors can affect the timing of your urination without your awareness. Look into your family history to learn if you are related to other adults prone to bedwetting at night. Like many things, bedwetting can have a hereditary component and is passed down through the generations naturally. Knowing this in advance can help you understand and anticipate the issue. What Else Might Cause Peeing While Sleeping? There are other external factors that may contribute to bedwetting, such as bladder irritants. These include alcohol and caffeine, and some medications such as those for insomnia. These products can stimulate the muscles of your bladder, called detrusor muscles. The detrusor muscles, when overactive, cause your bladder to contract more frequently, which in turn causes the urethra to open. You can discuss concerns about bladder irritants you may be taking in your medicine with your doctor or other healthcare providers. Additionally, several medical issues can sometimes cause bedwetting in adults, such as urinary tract infections, diabetes, and prostate cancer. Tests for these medical conditions involve simple urine analysis, so don’t hesitate to discuss getting tested with your doctor if you believe that they could be a cause. It’s also possible that your bedwetting is related to psychological factors, such as stress and anxiety. Stress during the day, including stress about wetting the bed, can lead to dreaming of wetting the bed, which can trick your bladder into contracting. Taking steps to manage your daily stress can have the additional side effect of reducing your nighttime bedwetting. If there isn’t a pressing medical need, such as an infection, causing your bedwetting, then there are several things you can do to manage your bedwetting without seeking out extra medical care. Though it is important to stay hydrated during the day, try to avoid drinking as many fluids in the evenings, and be sure to go to the bathroom and empty your bladder before you go to sleep. It is advisable that you avoid caffeinated beverages, such as coffee, tea, and soda, before bed, as they can irritate the bladder and overstimulate your detrusor muscles. Alcohol is another bladder irritant that you can avoid before bed. It’s also possible to train your body and bladder to wake up and pee at certain times. Consider setting an alarm clock for a couple of hours after you go to bed, to wake yourself up so you can go to the bathroom and avoid wetting the bed. If you do this, be sure to set the clock for different times, so that your bladder does not get in the habit of emptying at that time whether you have gotten out of bed or not! You might also want to train your bladder to hold more urine at once, by going to the toilet less frequently during the day. This is a difficult task and should be approached with caution since holding in urine for too long can lead to other urinary problems. Keeping a record or chart to help keep track of your progress can help you take care of yourself during the training process. The average bladder should be able to hold up to two cups of urine at a time. Here’s a video going into more detail about peeing while sleeping. Bedwetting isn’t something that you have to face alone and stress over. You have doctors, friends, family members, and online resources at your disposal to help you handle this completely natural process! Keep these steps in mind, have courage, and you’ll have better sleep before you know it. Do you have any tips for bedwetting in adults while dreaming?